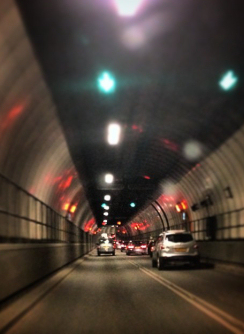 Transport for London manage the operation of multiple road tunnels throughout the London area. Many of these tunnels have emergency public address systems installed to control evacuation of the tunnels in the event of fire or emergency situations. The tunnels are controlled from a central control centre and are connected to each of the tunnels via city-wide fibre trunk networks. TFL operation staff had the problem of having to operate and manage many different microphone control panels – one for each tunnel. BLA were presented with the problem of simplifying the operation by unifying the controls into one graphical user interface which would then be duplicated for multiple staff to use at different control points. This required solutions to a multitude of individual problems to ensure that the user experience was consistent for each of the tunnel systems. This was no easy task considering the implementation of systems from different manufacturers with different topologies. The GUI was to also incorporate third-party software for controlling the emergency and maintenance radio communications systems to each of the maintained tunnels. GUI control points were also required at a backup control centre in a remote off-site location. The solution provided by BLA consisted of a new audio front-end routing system and IP-based control server. The control server software was developed to control the various systems over the relevant manufacturer specific protocols. Each control location was provided with a touchscreen control client panel and a desk paging microphone. Bosch Praesideo routing equipment was installed to route the microphone audio to the correct tunnel system either over analog links or via existing Cobranet ethernet links depending on the particular system topology. The TFL staff had exacting standards relating to the user interface and BLA worked closely with them to produce an intuitive system focused on ease of use in the event of a panicked emergency situation. Developing the software in-house allowed us to fully customise the software to the needs of the user and was also beneficial when working with Simoco EMEA to embed the radio control software into the GUI software. The outcome of the project was the provision of a fully integrated system providing touchscreen control points that allow control of manually voiced announcements, recorded emergency announcements and radio communications across the multiple sites.